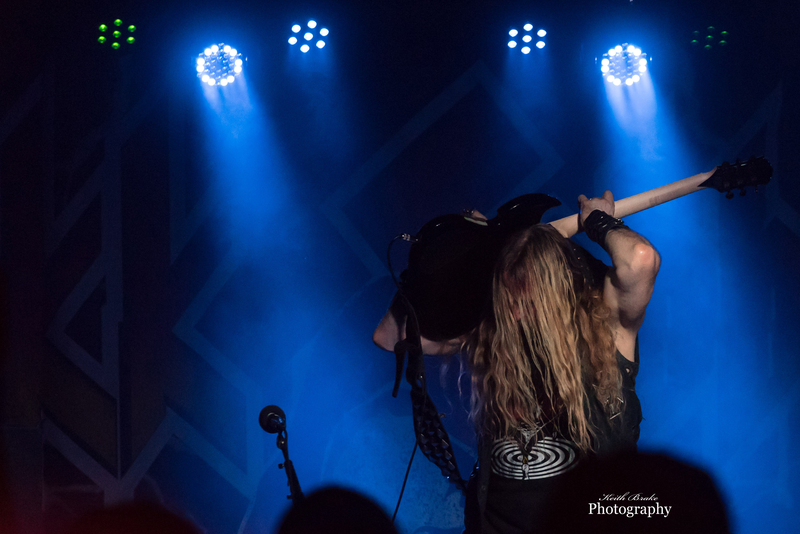 Any time you hear that an artist like Zakk Wylde is going to be in St. Louis, you know it is going to be a great show and a good time. 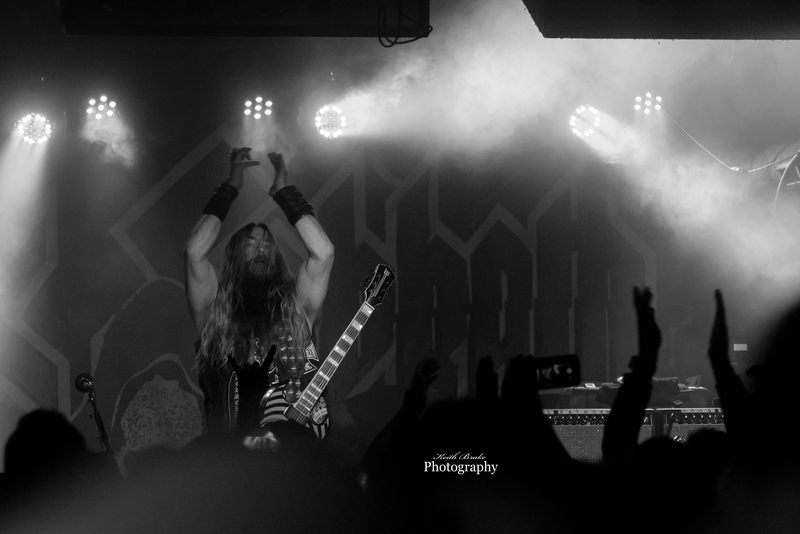 Zakk rolled into town on the May 28 for his “Zakk Sabbath” project and blew the roof off of FUBAR. Wait…FUBAR….what? Yes, Fubar, a 500 person maximum capacity venue and as you would expect it was a sold out show. As indicated by the name this three piece power trio is on tour to pay homage to rock and roll legends Black Sabbath. It takes a good bit of attitude, moxie, and let us not forget talent to tackle a project of this magnitude and Zakk is just the man for the job. BeastMaker is traveling with Zakk and the boys to supply the supporting act and they have a very traditional classic metal sound. BeastMaker, also a three piece power trio, hit the stage and the throttle at the same time it was obvious you were at an old school metal show. Trevor William Church (guitar and vocals) has a little flare of a young Ozzy Osbourne in his vocals and his chops on the guitar are very solid. The group list some influences as Black Sabbath an Danzig and if you pay attention you can catch the nuances of each. The venue was packed so full that before Zakk and the boys could even enter the building, the crowd had to be “adjusted” as they were blocking the entrance. I have been to several shows at FUBAR, but this was, hands down, the largest crowd I have been part of in that room. 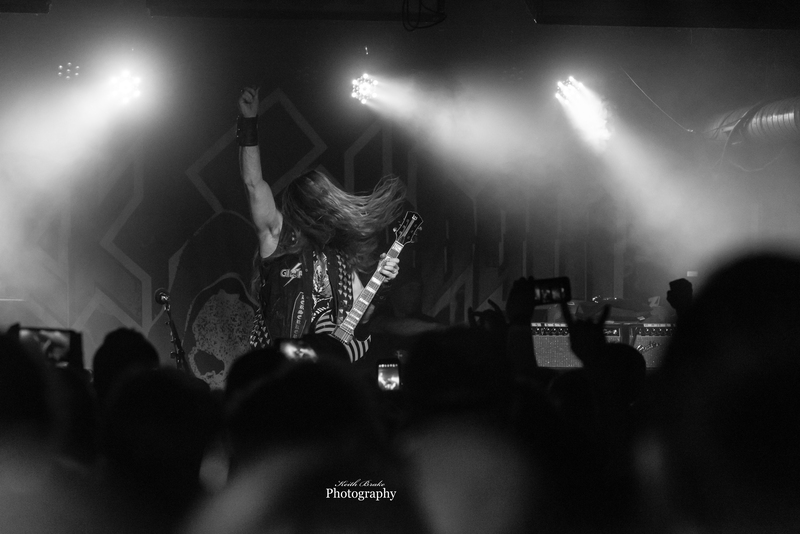 Zakk Wylde (guitar and vocals), Blasko (bass), and Joey C (drums) took the stage in a shroud of darkness and when the lights came up, the crowd went insane. Right from the very beginning they mashed the gas to the floor and never let up. It may come as a surprise to some that Zakk is handling the vocal duties for this project, but it shouldn’t. Zakk made his fame as one of the baddest pickers on two feet but that does not mean that is all he can carry. The performance never lacked in the vocal department, or ANY other department for that matter. The group paid respect to the late Chris Cornell by interjecting the guitar riff for “Outshined” into the show and when those in attendance recognized it, they erupted. Zakk and the boys played some of the deeper “Sabbath” cuts as well as the perennial super hits such as NIB, Fairies Wear Boots and of course War pigs. During these mega hits, it seemed as if everyone in attendance was singing along with Mr. Wylde. All in all the show was a rocking good time, and the intimate venue added to the experience to those in attendance. If you are a fan of either Zakk or Black Sabbath, you probably owe it to yourself to catch this tour. The boys will be rocking next in Nashville TN on May 30th. For more information and tour dates check out https://www.facebook.com/officialzakksabbath/ . Sounds like it was an awesome show…pics are great! Great show, solid photos, and a terrific article. Good job brother. Over sold the venue, fun at can not hold 500 people. If everyone who bought a ticket would have been in that room it would have been even more miserable than it already was. Very unprofessional on the promoters part.